In Italy, Wi Fi access is not always available and free Wi Fi is rare. Luckily, your rental includes 10GB of high speed data. Please note that the Standard Rental is not a data enabled phone so in order to enjoy the benefits of data, you must rent either the Deluxe or one of the iPhones. Italy is notorious for not providing free Wi Fi as readily as other European destinations. Besides that, data through Wi Fi is not always convenient and is never secure so it is really not a good idea to use free Wi Fi when and if available - especially if you are planning on doing online banking. Renting either our iPhone or Samsung Android smartphone will allow you access your email, check maps and access Social networking apps like Facebook and Twitter plus use communication apps like WhatsApp and Viber. Simply enter your Apple ID on your iPhone Rental or sign in with your Google Account on your Android Rental and you will have all your favorite apps and contacts on your rental phone. *Plus the price of one $29 credit bundle (the credit bundle is what gives you the 10GB of data plus the 500 minutes in Italy and 350 to the USA/Canada). The credit bundle will be added to your cart upon checkout. Roaming plans from carriers such as Verizon, AT&T, Sprint, T-Mobile can be expensive to use and confusing to understand. Moreover, data speeds are typically much slower than what you are used to back home. Smaller carriers, such as Consumer Cellular and Boost don't even offer cell phone service for Italy. Whether you are traveling on vacation or business, the last thing you need is your cell phone not to work. Since 2002, Cellular Abroad has provided over 300,000 travelers cellular service that is easy to understand, affordable to use and with great coverage and blazing fast data speeds. The carrier that we use is Vodafone, which offers the most extensive and reliable cellular coverage in Italy. This is an Italian operator and hence, you are not roaming. This ensures travelers the lowest rates and the best quality voice and fastest data speeds. Which Phone Should I Rent? We offer several options. If you only need to make/receive phone calls and texts and want a phone that is super easy to use, the best choice is the Standard Rental. This is a Motorola flip phone with great reception, a great battery life and is perfect for travelers who do not need to browse the web, check emails or use GPS. If you do not use a smart phone back home, you probably don't need one for your trip to Italy either. However, if you are like a growing number of travelers and rely on data to check your emails, use Google Maps, use social media, surf the web or use other data consuming apps, you will want to rent either the Deluxe Rental or one of the iPhones. If you are accustomed to using an Android phone back home, we recommend the Deluxe Rental as you are already familiar with the Android operating system. Similarly, If you have an iPhone, we recommend renting either the iPhone 4, 6 or the iPhone X. If you plan on using Google Maps, the iPhone 6 and X have a screen that is larger and easier to see. All smartphone rentals include 10GB of high speed data which is more than enough for the vast majority of travelers. All phone rentals, the Standard, Deluxe and the iPhones, include 500 minutes of outgoing calls within Italy and 350 minutes to make international calls to the USA or Canada. In addition, all incoming calls are free. All rentals come with an Italian cell phone number which, is very practical for receiving calls from Italian friends, family and other contacts in Italy. In fact, not all Italians can even make international calls from their phones. In order to make it as equally as affordable and as easy to use for people back home to reach you, consider adding a US number to your rental. The US number add-on option is available during check out, or, if ordering by phone, we can add it to your rental. You can also forward your current number to the new US number. This way, you will not miss a call but please note that not all travelers, specifically those on vacation, want to be reached so easily. If you fit into this category, you can also just give the new US number to a few select individuals back home that you really want to or need to hear from. All cell phone rentals come charged and ready to use as soon as you hit the tarmac in Italy (but will not work in the US). You will have the phone number(s) as soon as the phones are shipped. If you are renting a smartphone, you may want to add some apps to the phones such as Google Translate or WhatsApp. We highly recommend WhatsApp in order to contact people back home or even within Italy. Most Italians use WhatsApp. Please note that you can only do this on the iPhone 6 and X rentals. If you have a particular app that you are planning on relying on, please make sure that it is compatible with the phone that you plan on renting. Virtually all apps are compatible with iPhone 6 and X rentals. While this is not a terribly high rate for data roaming, there are ways to save money. Try using a texting app such as WhatsApp for texting and of course, when and if free Wi Fi is available, we recommend you use that - unless you are doing online banking or any other activity where using a secure internet source is necessary. 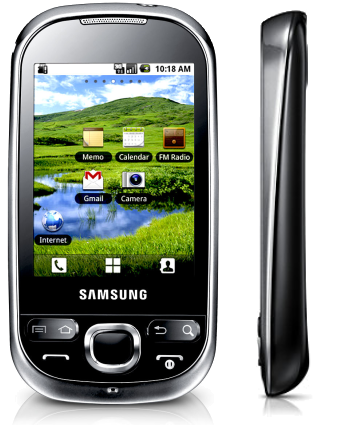 All of our Italy cell phone rentals, regardless of the type of handset you rent, offer the same exact rates. Included in your rental you will receive 500 minutes to place calls to Italian cell phones and landlines. In addition, you will have 350 minutes of credit to international calls to the USA and Canada.. You also get 10GB of high speed data but please note that you can only access data when renting a smartphone. If you need to make it affordable for people back home to reach you, we highly recommend that you add-on a US phone number for $19. This will give you 360 minutes (6 hours) of incoming calls when people call you on your US number. You can also forward your usual number to the new number, thus making it possible for anyone who has your usual number to call you while you are in Italy. If you are renting a smartphone, you can also use Skype, WhatsApp or any other VoIP solution to make calls. You can add additional incoming call buckets on your US number. All incoming calls are always free but please note that if you do not have a US number add-on, callers calling from overseas will be dialing an international number. Your Italy rental is active and ready to go. We do not require a scan of your passport. Your Phone Rental is ready to go. When you arrive at your overseas destination, simply turn it on and wait for your phone to display the Uno Mobile network. Once you have a network you are ready to make and receive calls. We used our phone while we traveled around Italy. We had no problems with our coverage. We purchased the package just for the "peace of mind" of having some type of communication with "home" without having the roaming charges of our personal cell phones. Though we hardly used it, it again gave us "peace of mind" that we had good communication at a local level. It was great for getting connected with "can't find the hotel", shuttle pickups, etc. It couldn't have been simpler, when I travel I don't want to be bothered with my personal phone so this certainly was a great value and I only used it for the calls I needed to while in Italy. my cell did not have service in Italy, and I was not going unless I could call my kids! This is a perfect uption, and was extremely easy to use. Great product. Worked well in Italy and delivery and return made easy. Happy I was able to call home but had to enter all phone numbers in there phonebook in order to use it. The phone did NOT ring for whatever reason. It was good to be able to call home and family. We used the phone to stay in touch with family and business associates at home in the USA and to locate our tour guide if we got separated. No hassles and easy to use! Great products and easy to,use. We rented two phones and had no problems. We started with a base amount of minutes but should have purchased more , as we ran out and had to order minutes. No problems with ordering however. Would recommend cellular abroad to my friends. I know that the post complaining about recharging in Florence was old post but I travel there regularly and you can certainly buy Uno Mobile recharge vouchers at Carrefour Markets which I have done many times. It is not a well-known carrier and the person at the cash register may say they have never heard of it, but have them look it up. I have also purchased at the general Tobacco stores which sell for all carriers. Easy to install and get up and running. But wait until you are in your destination country before trying it out. The service worked pretty much as advertised. We used it exclusively in Italy, and it worked just fine. Only lack of service occurred in the rural mountain areas, and that was to be expected. The only real problem was that I could not monitor my data plan usage. We had purchased the basic 1 gigabyte data plan, but whenever I went to check how much I had used, or what was left, I would only get a black screen with the letters "tba" displayed. When I installed the SIM card, and checked the handset's (an iPhone 4S) Access Point name, it displayed "iphone.vodaphone.it" I reset it to what the instructions indicated, "web.unomobile.it" Everything seemed to work, we could access our USA email, and surf the web. We were in Italy for 3 weeks. When we made the initial order we paid for additional cellphone minutes. We were careful to minimize our calling out from our cellphone, and we utilized free Wi-Fi at hotels and restaurants as much as possible. All that being said, the service worked very well indeed and with little stress or effort on our part. We would definitely recommend it to others, and would use it again in the future. I was in Italy for 20 days, the SIM card worked perfectly all over the country. I used it the entire west coast of the country and also some rural areas. I never lost coverage. I installed the SIM card here in the U.S. And when I arrived in Italy the phone was working immediately. Instructions for configuring the data plan were complicated, if ultimately successful if you aren't afraid of the guts of your phone. Realize that the data plan is 3G and is painfully slow. 1Mobile is not a popular service provider in Italy, as witnessed by my inability to purchase a recharge from any of the places listed in the documentation. I finally bought $25 of minutes through Cellular One (the least they offered--but far more than I'd use in a week). While it's not their fault my phone was stolen right after that, the inflexibility of the recharge options left a bad taste in my mouth. After my phone was stolen, I was unable to access their customer service/support from an Italian land line. I called multiple times, and there was always a busy signal and never an answer. And yes, I know how to make phone calls from an Italian land line. I finally sent a desparate e-mail about the theft and the need to brick my phone and promptly got an automated e-mail response that someone would respond within 48 hours! Luckily they cancelled my service earlier than that, but the lack of access to their customer service was stressful and frustrating. Years ago, I bought a TIM Sim card from Cellular One, and it worked perfectly in Italy. The experience this time--even before the theft--was fraught with frustration. I traveled to Florence, Italy last month; when I went to add more "talk time" to my phone, to my surprise, I discovered that there was not one place in Florence who could sell me a Uno Mobile/Carrefour recharge. Went to ten different places; they had every other carrier but this. 8 of the 10 had never even heard of Uno Mobile/Carrefour. Even worse, none of my Italian friends or relatives had heard of it. I was able to recharge in Rome. But the fact that I could not do so in Fllorence, a major city, was really troubling. I would NOT purchase this deal again. Uno Mobile is a sub brand of Vodafone. The way it works in Italy is that the recharge vouchers are generated on a machine. In sum, if the vendor sells one brand, they sell them all. The problem can be that if a foreigner comes in and asks for a voucher, and perhaps mispronouncing the name "Uno Mobile," the vendor will assume that the traveler needs a non-Italian top up. If you write the name of the brand (Uno Mobile) on a piece of paper and have them check, 100% they will find it in all places they sell top ups. Sim card was great but unfortunately somehow the phone pocket dialled and we used most of our minutes. Thank goodness this was on the last few days as I did not have enough time left to order more minutes. The locked keypad is a pain, especially because the long press unlock fails half the time. You have to hit exactly the right spot. But there is a bigger problem. You dial a number and you get the error message: numero inesistente o momentaneamente inaccesibile (or something like that). I am absolutely certain that something is wrong. I had the chance to try one of these numbers sitting face to face with a friend whose phone was lying right there on the table. I dialed his number, showed it to him on the little screen of my phone for verification, then called him, and got the message just quoted. Product worked as advertised. I purchased extra minutes when I bought the SIM card and phone; however, I didn't realize the enclosed voucher was for these minutes until I ran out of minutes in a middle of a call to the US. As best I can tell there was no explanation indicating I had to use the voucher to load the pre-purchased minutes to the phone. I did that while in Italy before I learned by email from support that this was the case. So, if you purchase extra minutes before you leave be sure to use the voucher when you get to your destination. There are no directions to do so as best as I can tell. Amazing product Internet every where in Tuscany! In the car, hotel,restaurants! It is much easier than trying to get a phone locally, but it costs more, too. It is a good way to go for someone who has never been here before. You pay for what you get, the ability to get a phone without a lot of hassle. ..wouldn't use anyone else ..
..worked like a dream, great reception calling to U.S., easy to add minutes! I bought the least expensive phone with SIM card for Italy that I could find so that I would have access to a phone when needed during a two-month stay in Sicily. It has worked perfectly. I use it only for short calls to the landlord or to make dinner/hotel reservations, and it has served me very well. Locals said to us either 00 or the plus before calling all numbers in Italy. This differed from the directions that came with the SIM card, but the advicefrom the locals was worked. This is correct, you can use the + or 00 to make local calls. Our instructions specifying to dial directly without the + or the 0 are also correct. In sum, either method works. My daughter has been in Italy for a couple of months now. I am impressed by the quality of the signal, even when she was in a rural area of the Dolomites. It is reassuring to know she has a reliable product. Thanks!! Your initial $29 minute bundle that you pay above and beyond the rental fee provides 110 minutes of calls back to the US, Canada, Europe or within Italy plus 850 minutes of calls within Italy. All incoming calls are always free. If you rent the Deluxe or the iPhone 4 or the iPhone 6, the $29 add on will also include 10GB of data. What happens if my trip is longer than 30 days? If your trip is longer than 28 days, you will need to add another $29 bundle in order to have talk time after 30 days. If you do not do so, you will still be able to receive calls but your outgoing call credit will expire. Yes your cell phone does come charged and ready to use. Yes, you will receive an international charger and relevant plug adapters, so you can charge the phone in the U.S. or in Italy. That depends on the international long distance rates charged by their Long Distance Company or international calling card. We highly recommend that you add-on a US phone number if you plan on communicating more than 110 minutes with the United States or Canada as it will cost callers from the US/Canada the cost of making a local call (typically nothing) and you just $19 for each 360 minutes of calls.